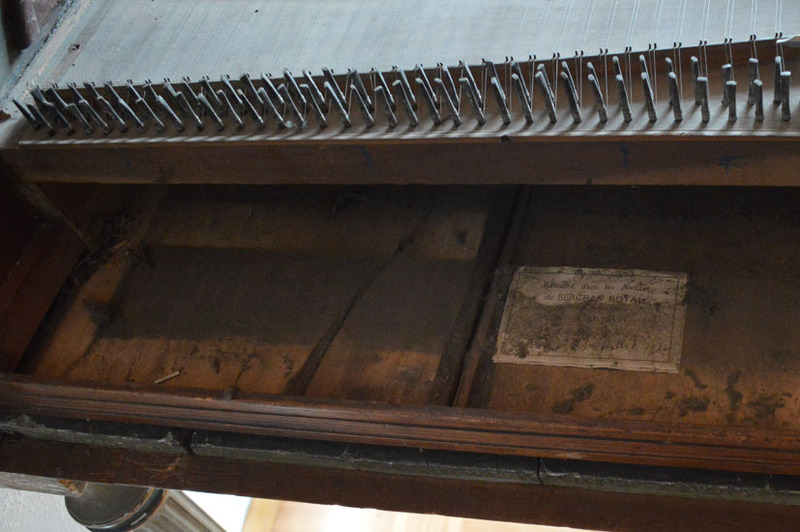 This rare harpsichord is an original harpsichord with its original jacks, tuning pins, pinblock, soundboard etc. 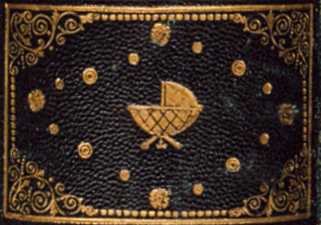 and its decoration on the soundboard and outer case (also lid) is from about 80 years later in the 18th century France. 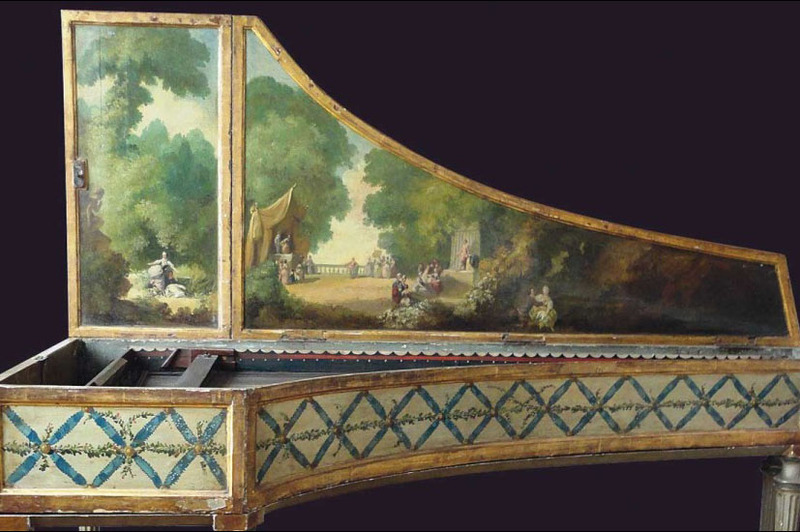 It has lived like many other Italian harpsichords later in France and decorated appropriate to the taste of their time. 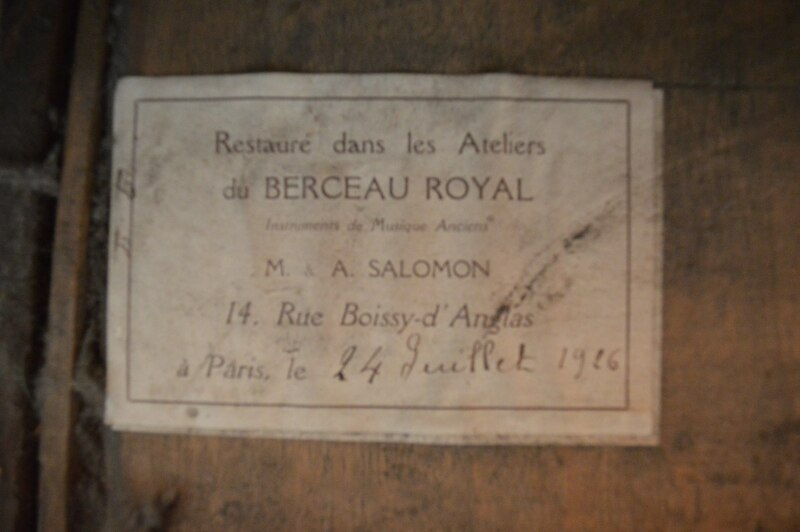 Also some restorations were done on it in France which shows it was most probably used at least as a continuo instrument there (because at the time solo French music is impossible for this narrow compass). Key fronts may be also from the French harpsichord restorers. 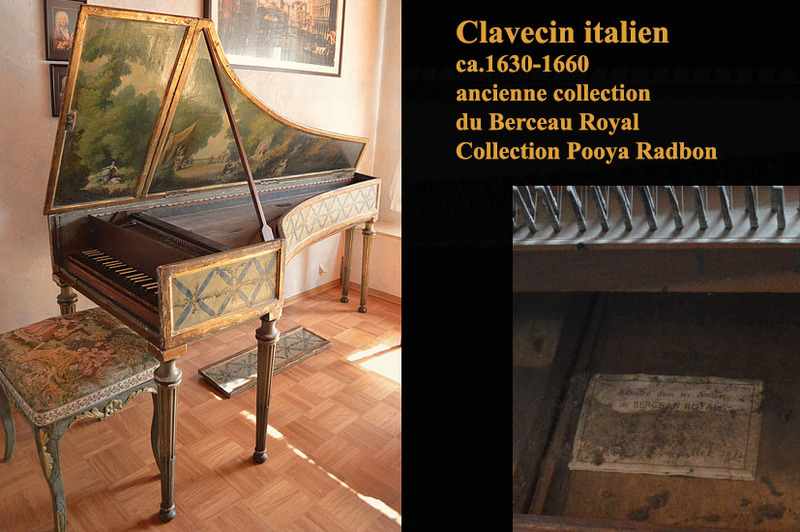 But in general black (ebony) keys are not unusual for a number of Italian makers of the time. Probably the arcades are from the 17th century and added ebonies on the top from the 18th century. 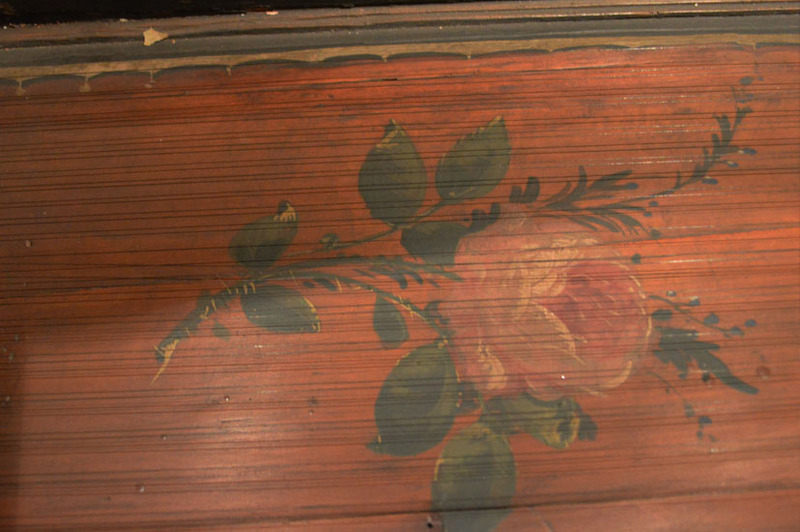 Here is a video of the harpsichord in its restored condition.